Bubba, 2, leans out of his owner's pickup truck parked in front of the first Wawa convenience store, opened in April 1964, in Folsom, Pa., Thursday April 22, 2004. A website that specializes in helping motorists find the cheapest gas, has taken on the task of determining the best convenience store chain in each state. In Pennsylvania, the top pick may not be what you'd think. GasBuddy, a Boston-based technology company, published a map Thursday based on its findings from "millions" of user ratings. The company said its data revealed the "best overall convenience store retail experience." Sheetz took the top honor in Pennsylvania, while Wawa ranked supreme in New Jersey. Only convenience stores with at least 20 locations in a state were included in GasBuddy's findings. Data was collected between late February and March. Sheetz was the No. 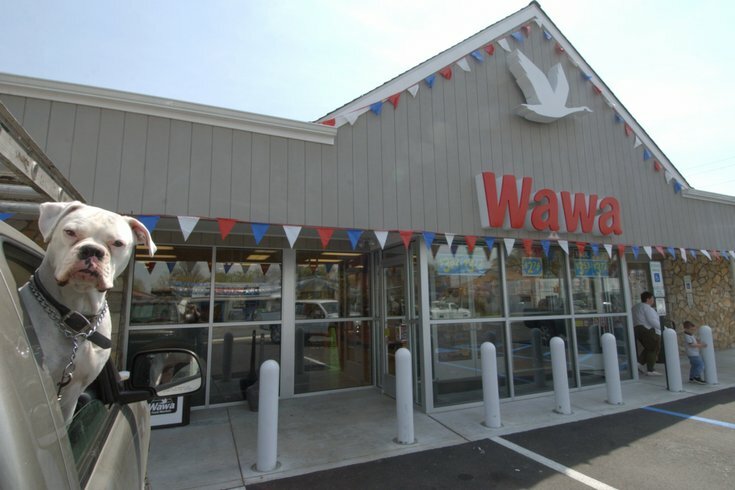 1 pick in a handful of other states, including Ohio, West Virginia while Wawa was the favored choice in Delaware, Maryland and Florida. Although, counselor to President Donald Trump who grew up in Camden County, took to Twitter Thursday to voice her own opinion about the findings. Check out the map from GasBuddy here.